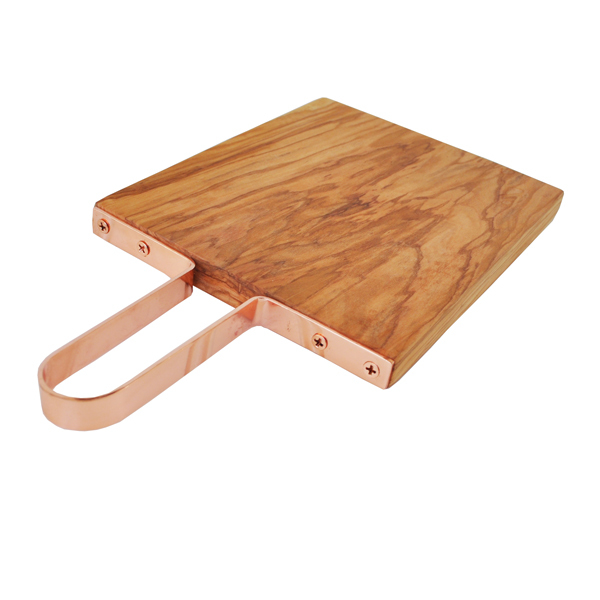 This stunning olive wood cutting board with a copper handle is modern, stylish and unique. The contrast of the natural olive tones and the copper color make this board very special. Naturally Med olive wood boards are guaranteed to never made from joined or glued pieces, always single pieces of olive wood. This olive wood cutting board with copper handle measures 14″ total length, by 6.5″ wide, by 0.75″ thick. 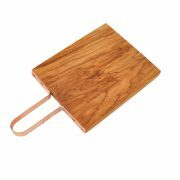 Use this olive wood board as a cutting board, serving board or cheese board. These cutting boards are decorative as well as practical and are colored and patterned by the natural grain of the wood. 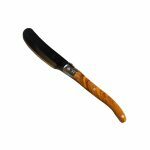 Olive wood is a great material for durable cutting boards because it is hard-wearing and long-lasting. Occasionally coat with mineral oil to prevent the wood from drying out.